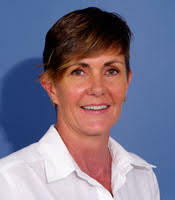 Cath has owned the practice since January 1991 and has worked in Dee Why since 1988. Her first passion was sports injuries and as such she was the Physiotherapist for Warringah Rugby Club for 16 years. Cath continues to enjoy the accurate assessment and treatment of sports injuries, acute and chronic neck and back pain including the Sarah Key method. She has also added the teaching and use of Pilates techniques. Cath has combined her vast clinical experience, knowledge and teaching skills into the development of our unique Physiotherapist instructed small group Clinical Pilates/Core Stability classes. As practice director, Cath encourages all our physiotherapists to participate in continuing professional development and enthusiastically shares her knowledge in our regular staff in-service programme. Bene graduated from Sydney University in 1990 and has worked at Sydney Hospital Hand Unit as well as in general practice treating a wide variety of orthopaedic and musculo-skeletal conditions. She spent 3 years in Mt Hutt, New Zealand working closely with ski teams treating all sporting injuries and developing comprehensive ankle and knee rehabilitation programs for their athletes. Bene is one of our Pilates instructors. Ari’s focus is centered on both sports and musculoskeletal physiotherapy, concentrating specifically on acute, chronic and overuse injuries. Ari employs the latest evidence based manual therapy treatments, supplemented with both active as well as functional exercise regimes. He is an active member of the Australian Physiotherapy Association which allows him to participate in regular specialty professional development courses, which ensure constant exposure to ongoing advances in all fields of practice. Ari has had experience with an Elite woman’s soccer team, the public hospitals system in addition to working at multiple private practices while studying at university. Ari has developed a wide variety of interpersonal and professional skills necessary to build a productive relationship with his clients. 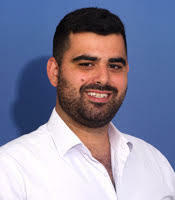 Ari will work tirelessly to help you achieve your goals, to get you back on track, and excelling in life by attaining your personal best at all times. 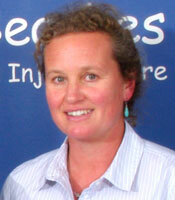 Peggy has worked in the practice or consulted to Northern Beaches Physiotherapy for more than 15 years. She has also worked at ADHC early intervention and school age programs for children developmental disorders (Fisher Rd Special school in Dee Why) for 25 years treating and encouraging children with all range of movement issues. She has extensive experience in minor movement disorders/abnormalities through to very serious problems associated with cerebral palsy, neuromuscular conditions and many other genetic disorders. We are privileged to have Peggy still consulting with us for children with movement dysfunction. Her wealth of knowledge and experience in recognising, diagnosing and treating children with movement dysfunction is irreplaceable. Children with early balance issues are more likely to be overly cautious leading to lack of enthusiasm in participation in more challenging tasks and can affect confidence in kids. Balance and movement control issues are best addressed prior to school age as they can lead to/have an effect on fine motor or pencil (handwriting) control. In Peggy’s hands children will be given guidance to develop the skills of balance and control in a fun, play themed way. Parents and care givers will be shown how to continue at home so progress is continuous. A referral to Peggy is not necessary so if you have concerns about how your baby is rolling or crawling, a clumsy toddler, or a school age child with balance issues, phone for an appointment. Peggy can also help with Torticollis (when a baby’s head turns one way predominantly), flat feet, knock knees, sporting issues or injuries. Good to hear all is well Rhonda! We look forward to hearing from you in the future after having made a full recovery!